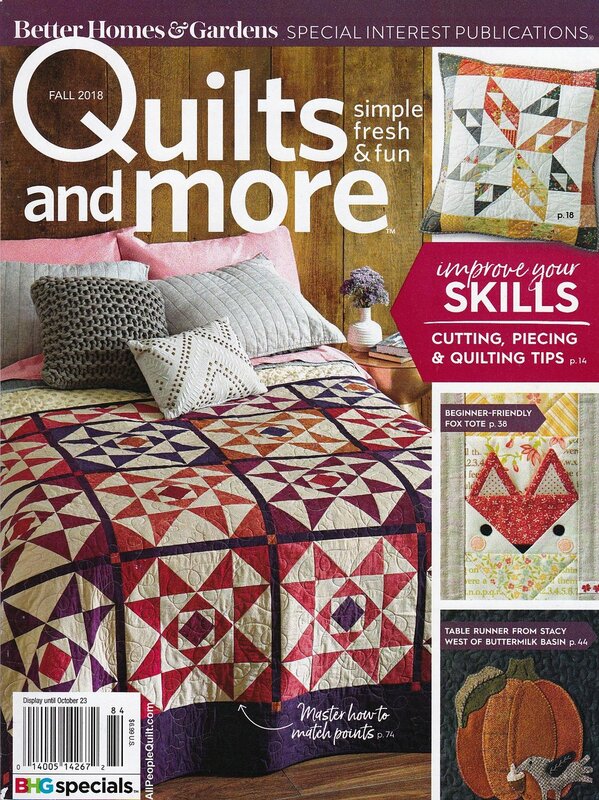 You can imagine my excitement when my first quilt book Utility-Style Quilts for Everyday Living (Landauer 2017) became a reality this October and I could hold a printed copy in my hand. Well, I'm even more elated about the upcoming blog tour! Starting Monday, December 4th with the talented Heidi Staples of Fabric Mutt and running each day until the 19th are 16 creative bloggers to tell you all about my book. To kick off the tour I'd like to share a free quilt project with you that I designed to go along with the book. Roman Stripe is super fun to make and a great scrap quilt. You can use jelly roll strips or cut your own 2-1/2" wide strips - the more the merrier with this one! The premise of my book is to make quilts to be used. Don't stress about stitching museum showpieces or quilts you're afraid to let anyone touch--make quilts to be part of your everyday life. Experiment with colors and prints. Feel free to create what sings to your heart and forget about color theories (of which I do go over in the book as a basic understanding of color theory). 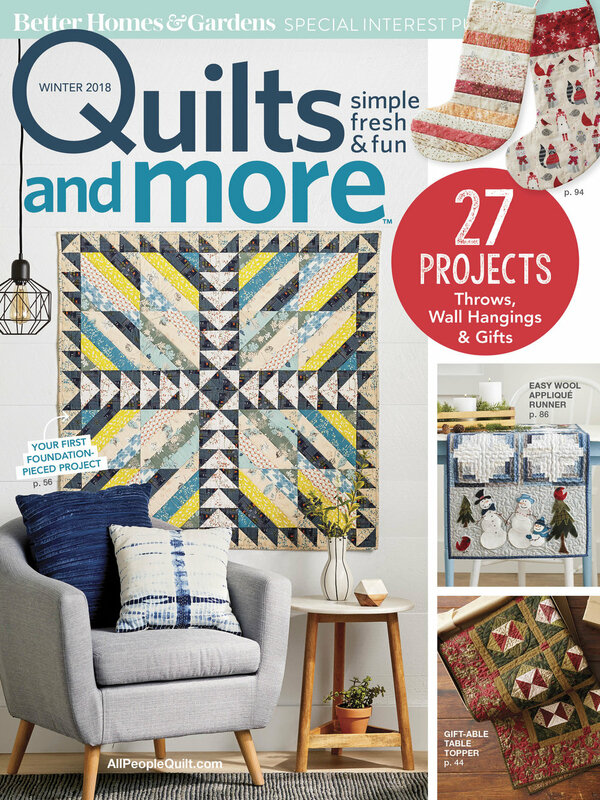 Even though this book is only 80 pages, I've managed to pack it full of everything you'll need to make 12 easy-to-piece quilts from start to finish. 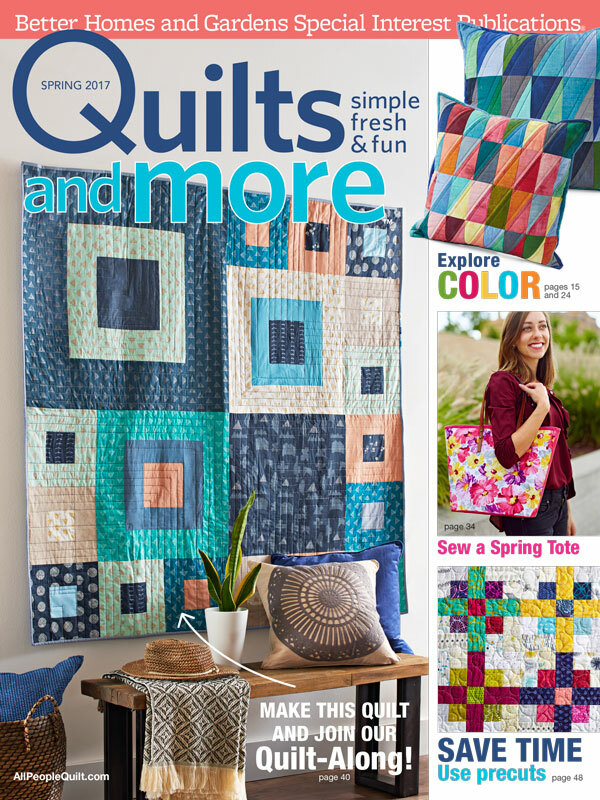 This is a great resource for a beginning quilter or even seasoned quilters that want fun new projects. I go over fabric selection, cutting of fabric, patchwork basics, utility-style quilting, and finishing of the quilt. 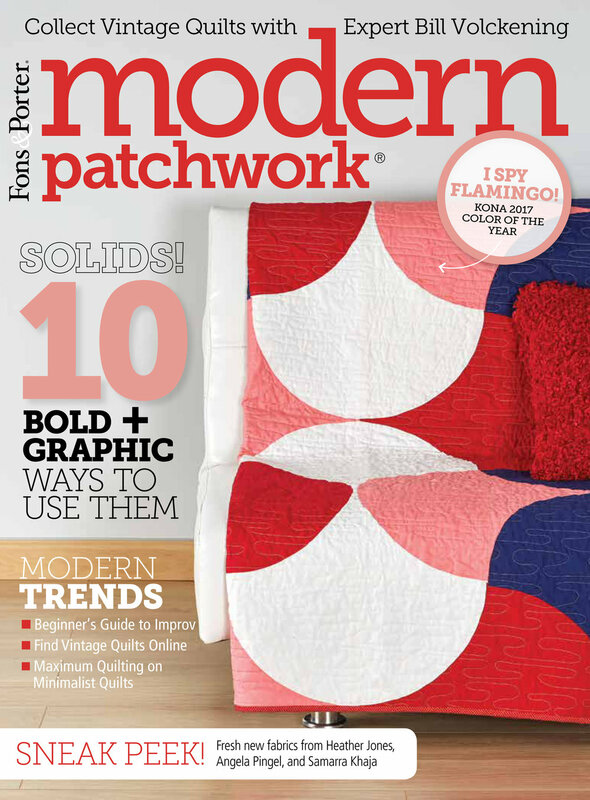 The quilt projects are based in traditional patchwork but all have a fresh-modern look--perfect for today's home. It pains me deeply that I already have a correction in my book but that's what happens when you have different people to depend on and many hands on a project. This beautiful quilt called Goose Chase has some changes to the material list and cutting instructions on it's first page. Use this link to Landauer Publishings Correction page and download the changes. I know this stuff happens but that gives me no comfort and am sorry for any headaches it may cause you. My lovely daughter and dashing son-in-law were my models for this photo. The beauty shot photo of this quilt in the book has a different version and includes my granddaughter in the scene who at that time was less than a year old. I like to pack meaning in everything I do and this book almost feels like a family album in a way. My friends and family all played a big role in making this possible. 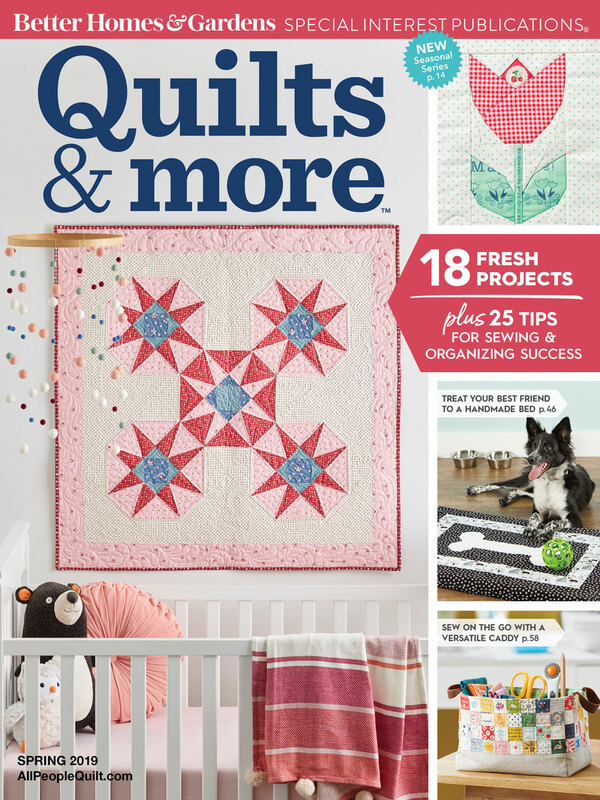 Utility-Style Quilts for Everyday Living is as much a lifestyle book as it is a quilting book. I wanted a cover that could rival any home decor magazine and purposely started the reader outside in front of a house. SIDE NOTE: And no, it's not my house but I like to say it should've been my house. We looked at that home when it was fresh on the market when we were finding a place to live in Ohio. Unfortunately it was priced well beyond our comfort zone and we had to find something else. I love that it's the cover for my book and that curved roof line is divine! From the exterior of a home I lead you through a home beginning on the porch and into the front entry. Every room of this collective home represents how people live today. We end the projects with Goose Chase out in the backyard for a sweet, impromptu picnic. The life-style inset photos were taken by Susan Playsted of Hopewell Home and Susan can tell you more about how that all came about on her blog tour day. Let's just say social media is truly social and it was an amazing collaboration! I'm happy to announce that this website now has a STORE! My first and only item in my shop right now is my book. I have limited quantities to sell and although you could get the book through Amazon (affiliate link) and potentially pay no shipping costs you can only get it signed through my site so hopefully that offsets the extra expense of paying shipping :) Please note that I'm only shipping to US residents at this time. As I get more comfortable with having a store and add more items to my shop then I will open shipping up to more global locations in the future. With every good blog tour also comes good giveaways, right? Each of the Utility-Style Quilts for Everyday Living Blog Tour bloggers has the opportunity to give away one of my books to a lucky follower. I'm leaving it up to the blogger to run their own giveaway, so visit each of their posts to see what project(s) they've created from my book and if they're offering a book giveaway. Since the winning books will be shipped directly to the lucky winning entry via Landauer Publishing I'm sorry to say they will not be signed copies. 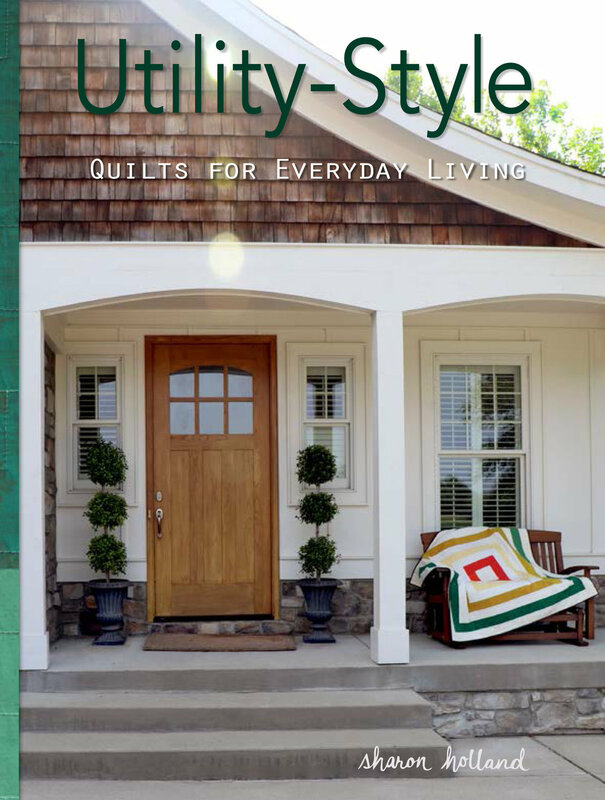 Follow along on the book blog tour for more chances to win a copy of Utility-Style Quilts for Everyday Living.